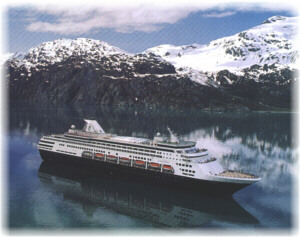 Travelers looking to explore Alaska’s natural wonders in 2019 will have 133 cruises and 15 different Land+Sea Journey configurations to choose from aboard Holland America Line’s mid-sized ships, which are the perfect size for Alaskan ports and uncrowded glacier viewing and tour experiences. The premium line just introduced its “We Are Alaska” branding to emphasize its leadership, expertise and history in Alaska for more than seven decades — longer than Alaska has been a state. The Ultimate Alaska & Pacific Northwest Adventurer is part of Maasdam’s In-Depth Voyages program for travelers who are looking for thoughtful and immersive ways to see the world. The EXC In-Depth Voyages use world-renowned experts, local scholars and unique tours to immerse guests in the experience, enabling them to explore through the prism of their own personal interests and passions.